Trying to reduce your electricity bills is not easy – they only seem to go in one direction and it can hard to keep up. However, by educating yourself about your home appliances, and their running costs, you stand a better chance of getting one over your energy provider. Clothes dryers can be one of the biggest energy-sucking appliances in your home, but conversely are one of the easiest to consider when you are trying to reduce your bills. The sage advice is simply to try and stop using it, especially in a sunny country such as Australia – where the Hills Hoist was invented! But of course, it’s not always that easy. When the temperature drops, it genuinely can be difficult to get your washing dry, so many of us turn to our trusty tumble dryers. How much electricity does a clothes dryer use? Source: South Australian Government. Costs based on AGL and Origin standard rates. 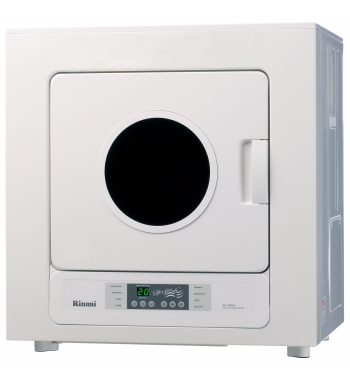 While vented clothes dryers are slightly more expensive than condenser dryers, they are much cheaper to buy. It’s common to find one under $500 and rarely do they top $1,000. Additionally, if you’re renting your home, then chances are you already have a vented dryer included, and it makes little sense to buy another if you don’t plan on sticking around long-term. The comparison table above features vented clothes dryers only, but there are some alternatives to the ‘old school’ way of drying clothes if you’re determined to reduce your long-term drying costs. They are in the form of condenser dryers, heat pump dryers and gas powered dryers. Condenser dryers essentially add another step to the traditional venter-dryer process. Condensers recycle the hot air generated by extracting water vapour from the air and send it back into the dryer. Vented dryers simply expel the humid air, which is why if you close your door to your laundry while the dryer is on, you would have noticed it to be hot and humid in there. Heat pump dryers simply dehumidify the processing air and keep the heat contained within the machine, resulting in less heat escaping and preventing your laundry from getting fogged up! It’s like a condenser dryer, but the humid air doesn’t even have half a chance to escape. As such, heat pump dryers are some of the most efficient dryers on the market. Take for example the V-Zug Adora 7kg model (WTATSLWPZ) pictured. 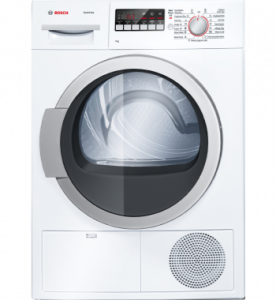 It uses 152kWh per year and boasts a six-star energy rating, which is an outstanding achievement for clothes dryers. At 152kWh, it’s estimated that it’ll cost a hair over $52 a year to run based on the electricity cost of 33c/kWh. With heat pump dryers, you definitely pay the price for energy efficiency. The V-Zug mentioned above retails for just under $4,000 and it’s rare you’ll find one for under $1,000. The average price seems to be around the $1,700 mark. If you use your dryer a lot – say if you live in an apartment and have little-to-no choice – then a heat pump dryer could pay off – but for those budget-conscious then you might struggle to see value in an expensive endeavor. your car, LPG prices are generally half of the cost of unleaded petrol. 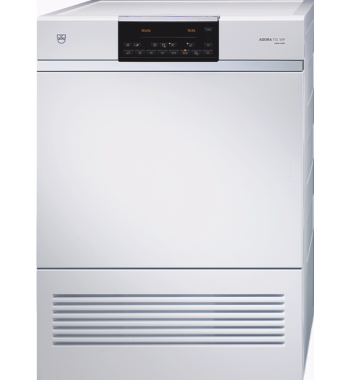 Take the Rinnai 6kg gas powered dryer for example, which uses an average of 11.5 megajoules an hour. Using the standard rate of 4c a megajoule, this appliance would cost 46c an hour. Compare this with the costs of a vented dryer and the penny may drop – excuse the pun. However, traditional dryers are usually much cheaper to buy than gas powered dryers, so even with the massive bill savings it will take years to recoup the initial cost of purchase. Generally gas-powered dryers are rarely available for under the $1,000 mark, and can skyrocket up to and over $5,000. For all but the heaviest dryer users, you may struggle to find value in gas-powered dryers – especially high-end models. It’s up to you to decide if the energy savings are worth it. If you decide not, see below for some tips on how to save money. There are two costs you should consider when purchasing a clothes dryer – the initial tag price, and the ongoing electricity usage costs. While a certain model of clothes dryer might appear cheaper at the outset, you may find it will cost you in the long term if it’s not energy efficient. The table below represents the estimated cost per clothes dryer cycle. Note that this data is from energyrating.gov.au, so prices differ slightly to the earlier calculations from SA Gov. It assumes a flat-rate electricity usage of 33 cents per kWh. Some of you reading this might think that these are relatively negligible savings, but keep in mind that this will add up over one or more years as the below infographic illustrates. How can I reduce my clothes dryer costs? It’s understandable if none of these more energy-efficient dryers are viable options for you. 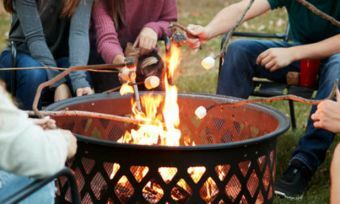 You may be renting, you may not use a dryer much, or you may struggle to see value in purchasing something that costs $1,000 in the name of saving a few bucks. In any case, here are three easy ways to minimise the damage your clothes dryer has on your next energy bill. As you can see, off-peak rates are nearly half the price of peak rates. Even shoulder periods offer some significant savings. They’re not very convenient, but if you can bear having to dry your clothes at 10pm then you might find your electricity bill friendlier next quarter. This might seem like a no-brainer, but overloading a dryer is easy, especially when you’ve got a load full of wet clothes you just want to get out of your hair. Overloading means your clothes have less chance to be fully dried. This means that you’ll likely require a second cycle to fully dry them. With dryer costs up to $3 a cycle, one more cycle means that’s now up to $6 out of your pocket. By the same token, you want to make the most of your load. Under-loading means that you’re simply not getting the most out of your dryer; why waste up to $3 on two shirts and a pair of underwear? Save your dirty clothes where you can, do one wash to fill the washer and dryer the best, and make the most of that $3. If you’re living in an apartment block, we appreciate that you’re often stuck between a rock and hard place about what you can do to dry your clothes. 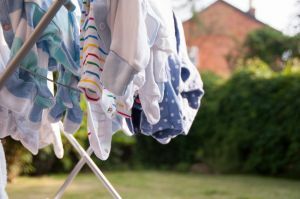 A full-blown clothesline isn’t feasible, and using the dryer can be both costly and environmentally-unfriendly. In comes the indoor clothesline or ‘clothes horse’. These can be had from around $10, and are a great compromise. If you have a balcony, you can also place it outside for even quicker drying – use pegs though, or risk your underwear on the pavement below for the world to see. Owning and using a clothes dryer isn’t exactly cheap. Dryers are frequently seen as one of the most energy-sucking appliances in the house. Though several types of dryer have largely broken that stigma; condenser, heat-pump and gas-powered types of dryer all employ technologies that minimise power use compared to traditional vented dryers. These innovative dryers don’t come cheap though – mostly over $1,000, with some over $5,000. Before buying one you’ll have to consider how much you actually use your dryer and whether you can bear the burden of a hefty upfront cost for slow, long-term money saving.